Inspired by the simplicity of nature, our beautiful surroundings and a deep love of the finer things in life. Buried in the heart of South West France, we live in an area steeped in history, surrounded by award-winning bastide towns food and wine; old-stone farms; fields of wildflowers; brightly coloured shutters; moss covered forests; lavender and organic seasonal flowers that have an unforgettable perfume. As each venue has its own special charm we will often take this as our main inspiration, aiming to create an unforgettable event that is in harmony with nature, the surroundings and the individuality of our clients. Our in-depth knowledge of the local area, venues and vendors, as well as our ability to speak the language, combined with years of experience in delivering events, is what gives our clients peace of mind, especially when planning a wedding from afar. We have also built up a reputation over the years for working with local families, delivering At-Home weddings and events, quite often in unusual locations that require electricity, catering and hygiene facilities to be brought in for the weekend. To enable us to offer an exceptional level of service, we have chosen a ‘boutique approach’ to wedding planning; accepting only a limited number of weddings per season, the majority being referrals from former clients and guests. It is important to us that we forge a strong relationship with all of our clients, and are especially happy when some of them come back to us years after their wedding, and ask us to do another special occasion, such as a christening or a birthday. Before moving into wedding planning, Hannah worked in London coordinating large scale live events and design projects – working with actors, writers, tv personalities, photographers, artists, designers and musicians – as well as organising corporate days out and parties. Her career in the industry started as a Design and Production Assistant/Studio Coordinator for a communications and live events agency in Soho. Her people management skills and results-driven approach eventually led to her being headhunted for freelance work on exciting projects such as the Disney Kids Awards Live Road/TV show. As much as she enjoyed hanging out with boybands, she was tempted back into full time employment with an offer to help A-List celebrity photographer and film director Greg Williams and renowned artists Olly & Suzi launch a creative talent and production agency, promoting their work within education, the arts & publishing. During this time, she had the opportunity to meet and speak with many interesting people, as well as master her skills in accounting, writing, negotiation, talent management and discretion. Originally from bonnie Scotland, Hannah came to France in 2002, moved to St Antonin Noble Val in 2005, learned the language (it took a while! 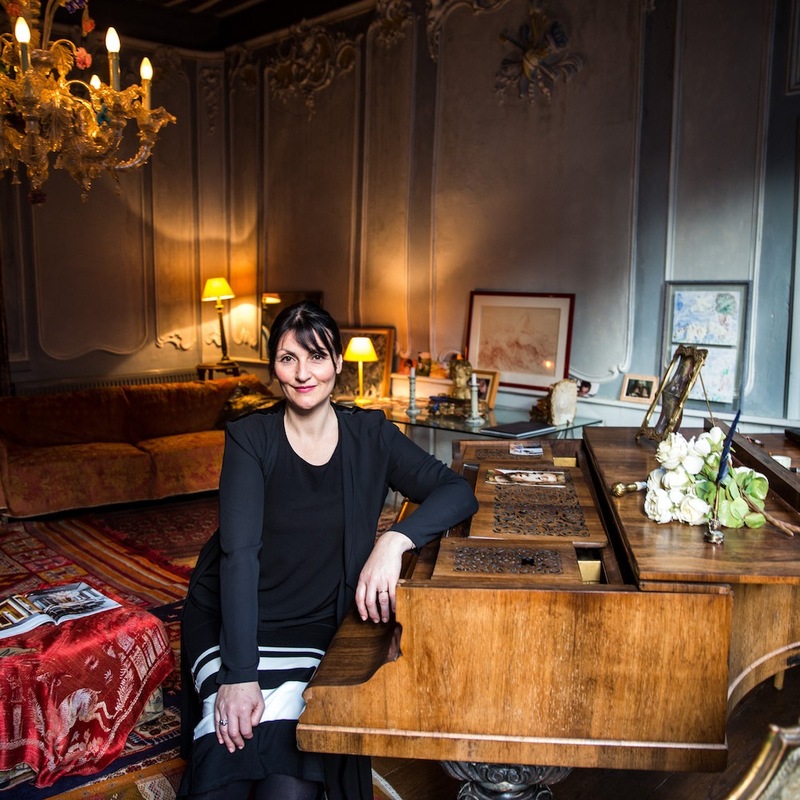 ), coordinated a language school, fell in love and married a Frenchman, then unable to find someone to do a ‘Day-of-Coordination’ for her own wedding – as much as she loves coordinating, doing it on the day of her wedding wasn’t quite as much fun – decided to establish Noble Nuptials. 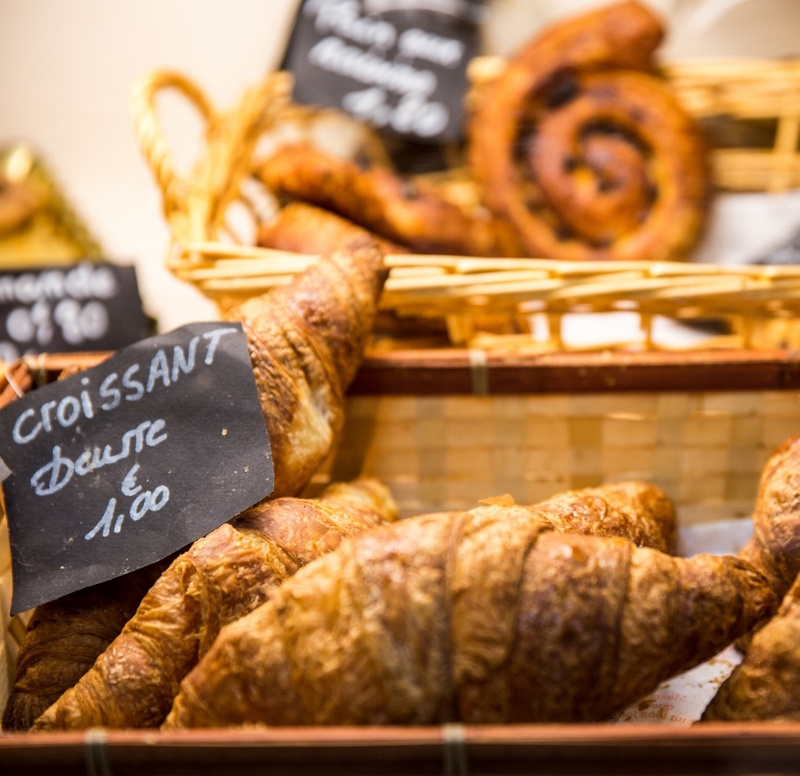 She has a passion for all things French, most especially fresh croissants, raspberry macarons, champagne…..and her husband of course! When not planning events, she likes to deafen her family by singing opera and playing the Irish Low D tin whistle – she is still taking lessons for both! Noble Nuptials has a close working relationship with local floral designer and land artist, Lya Marino of Atmosfleur Créations. 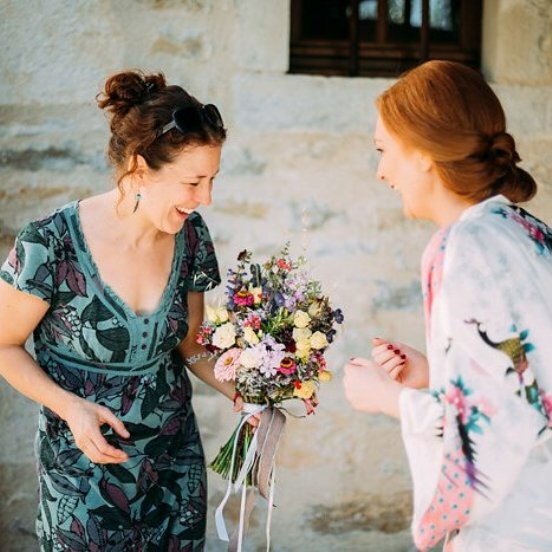 Lya has been in the floral industry for 20 years, has an artistic background and is passionate about using organic flowers that are in season from local horticulturists and foraging in the neighbouring woods. She is inspired by nature, “every season offers up new ideas” and is a true inspiration in herself! Portrait and food photography by Corrina Tough Photography and florals by Tant de Poses. Quote by Francis Ford Coppola.